James Lloyd Frazier served in the US Air Force as a C-130 engine mechanic at Evreux Air Base, France. Jim was devoted to family and had a special love for teaching and helping children. 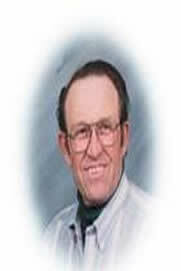 Jim loved the outdoors, enjoyed rodeo and was a rodeo clown, started a riding club in Arizona in the early 60’s. As a World Champion Bow hunter he helped start the bow hunters club in Dalhart and enjoyed teaching archery to kids. His love for children also led him to coach and umpire little league games. Jim was the youngest Charter member of Lincoln Street Baptist Church.